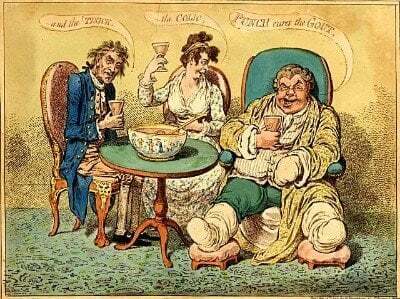 In my 4th “What Is Gout?” myth series, I look at the outdated practice of stopping, or failing to start, allopurinol during an acute gout attack. There is a great deal of confusion in the medical profession about when to start allopurinol dosing. Confused doctors create confused patients. The result is that gout patients do not take allopurinol as they should, and their gout gets worse. Allopurinol has one purpose in gout management. It is used to lower uric acid to safe levels. This will slowly reduce the frequency and intensity of gout flares – it will not stop gout immediately. After 6 months without a gout flare, we can say that gout is controlled. If you delay starting allopurinol, you delay the day your gout is controlled. If you stop allopurinol you stop getting better, and uric acid deposits will start to grow again. Despite clear recommendations from professional rheumatologists, many doctors still believe that you should not start allopurinol during a gout attack. This is wrong. You should start as soon as you can. The idea that doing so will make your gout worse is a myth. That gout myth starts another. The confusion caused from linking starting allopurinol with gout flares continues into treatment. People believe they should stop taking allopurinol if they get a gout flare. Again this is totally wrong. Don’t stop allopurinol unless you are experiencing the serious reactions described on the label. If you get a gout flare you can wait and grit your teeth, or take suitable pain relief (search for gout pain freedom). That is the only way to tackle gout attacks. Stopping allopurinol will not ease your pain. Unfortunately, if you stop taking allopurinol, you only delay the day when you will be free from gout pain. Gout is misunderstood due to several myths that have grown over the years. Now we have the Internet, these myths become repeated even more and more. People get entirely the wrong impression about gout, because of these myths. Even doctors get fooled. I’ve published my What Is Gout (Gout Myths)? series to try and explain what gout is by explaining what it is not. This myth about allopurinol dosing makes us believe that gout is a hard to treat disease. As a result, gout sufferers avoid treatment because they lose faith in their doctor’s ability to treat it. On the contrary, gout is easy to treat, unless there are complications from other diseases. If you cannot get gout treated easily, please seek help in the gout forum. Fellow gout sufferers will help you ask your doctor the right questions about allopurinol dosing, and help you understand the answers. Related Gout Facts: Allopurinol Dosing, Gout Myths, What Is Gout?